This short piece for string quartet is arranged in three parts, with optional repeats to keep the music flowing in the event of a delay in the procession. 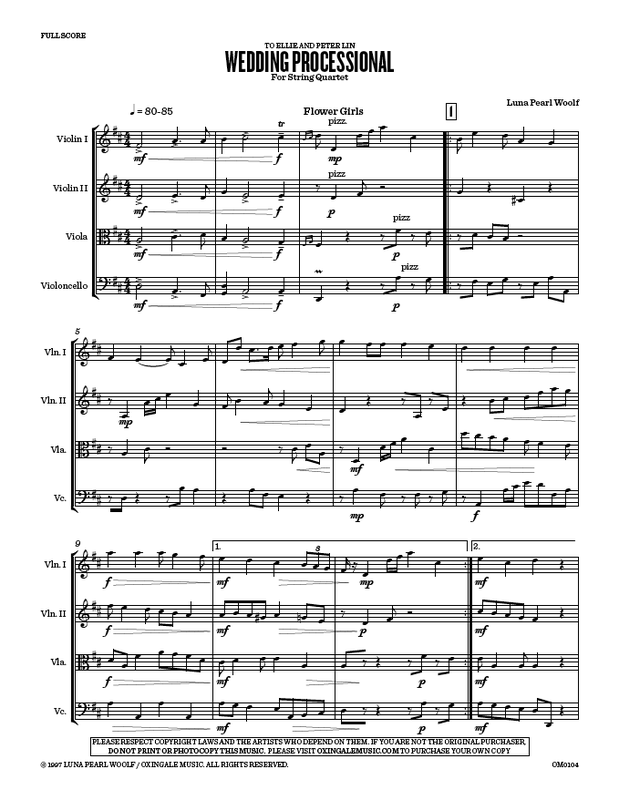 Written originally for the wedding of Ellie and Peter Lin in 1997, this processional was played twice at that ceremony, which became a double wedding with that of the composer and Matt Haimovitz. 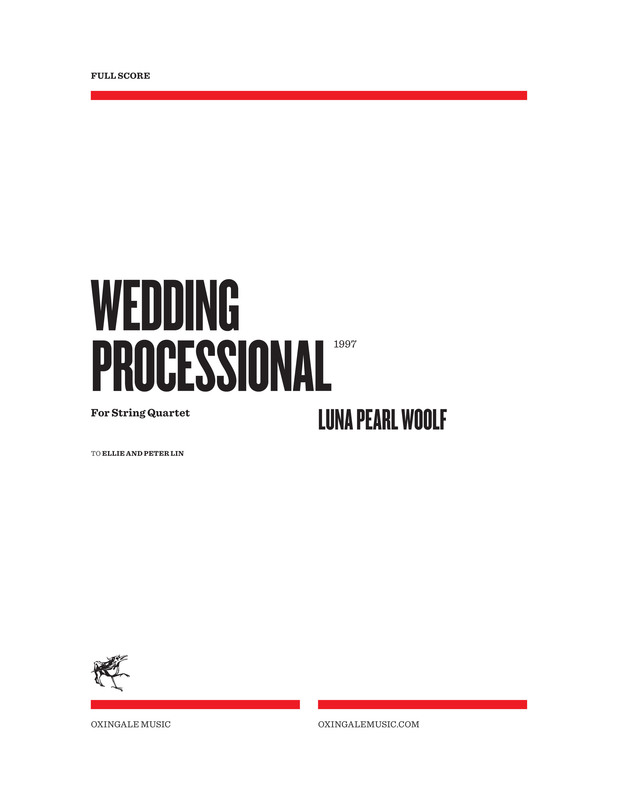 This entry was posted in Cello Music, Chamber Music, Chamber Music with Cello, Luna Pearl Woolf, Matt Haimovitz and tagged cello, string quartet, viola, violin, wedding music. Bookmark the permalink.